The blog that wrote the book. A couple of media outlets have contacted me recently to talk about orthorexia, and I'd like you all to weigh in. The term "orthorexia" was coined by Steven Bratman, a physician specializing in alternative medicine, in 1997. Orthorexia is understood to be an unhealthy fixation with eating healthy foods (often accompanied by a righteous, holier-than-thou attitude), to the point where either important nutrients are often omitted (like fat) and/or the person becomes emaciated because quality foods are not available enough. This isn't just healthy eating. Do you wish that occasionally you could just eat, and not think about whether it’s good for you? Has your diet made you socially isolated? Is it impossible to imagine going through a whole day without paying attention to your diet, and just living and loving? Does it sound beyond your ability to eat a meal prepared with love by your mother – one single meal – and not try to control what she serves you? Do you have trouble remembering that love, and joy, and play and creativity are more important than food? Have you gotten your weight so low that people think you may have anorexia? If you recognize yourself in these questions, you might have orthorexia. As opposed to anorexia, the goal of orthorexia is not weight management/loss, but health, and therefore, the emphasis is not on the quantity of food consumed, but the quality. As with any psychiatric diagnosis, orthorexia is understood to impair daily functioning, to impact work/school, family, and friends because of the time and effort devoted to meal planning and consumption. But, orthorexia is not a psychiatric diagnosis. There is a dearth of research on orthorexia, particularly quality, peer-reviewed research. Many folks in the e.d. community don't see orthorexia as significantly different from anorexia (or from an anxiety disorder, such as obsessive-compulsive disorder). I'm able to describe the condition as the lay community has described it, and I realize that some people may meet the criteria proposed above, but I, too, am not sure that it differs enough from anorexia or OCD (w/food behavior being the obsession and compulsion used to manage anxiety) in order to warrant a freestanding diagnosis. I think some folks struggling with bona fide e.d. 's may play the "health card" in order to avoid suspicion. In this way, they may present with orthorexia when the main motivation is weight control, therefore indicating anorexia. Do you struggle with orthorexia or know anyone who does? Can you say that it is significantly different from these other disorders? Please help! Kate Finn, a woman interviewed by Bratman for his book, wrote an article on her experiences with orthorexia here. She later died of heart failure brought on by orthorexia induced starvation. I think I had vestiges of orthorexia combined with anorexia. My goal, of course, was to lose weight, but I also became obsessed with healthy eating. My fasting initially began as a way of spiritual and physical cleansing, and evolved when I saw how much weight I lost. I'm a member of a local Earthsave group. I haven't been active for a few years, but was really active during my eating disorder. I always said I never met a bunch of more disordered people than the ones who attended our monthly potlucks. Not to say that all vegans are orthorexic, but there are a few who are extreme in their diet, and the raw foodist people look emaciated. I think our current environment encourages orthorexia. Indeed, Michael Pollan has even gone so far to claim that, as a culture, we suffer from orthorexia. I read this article a little while ago and it was the first I'd heard of this. I think it's just very "true"... the concept of "Orthorexia" and perhaps it is one of those "spectrum" disorders that range in severity. I definitely struggle with this. But I also ask- what is wrong with wanting to ONLY eat quality foods? (Quality meaning their nutritional value). I refuse to eat any bread or carbohydrates that isn't "whole" or in some way nutritionally helpful. My go-to catch phrase is "simplify." Learning about nutrition is sort of an ongoing process and as I learn more I incorporate what I've learned in my fold of habits. My favorite source thus far is Harvard's Walter Willet (Eat, Drink, and Be Healthy). For example, I've learned to include healthy fats. Yes, I find it supremely uncomfortable at times when I am "overly-picky," refusing when others aren't, and spending the extra time and money and attention to seek out exactly what I want to eat. But it's what I want. What I've realized, is that I CAN choose, and it's easy to just NOT eat something. Just don't put it in your mouth. And my reasoning to not eat something is that it's not "good enough" (nutritionally), but I absolutely DO NOT judge others. This entire perspective is PERSONAL and choice is also personal. Because it is so personal, I actually feel sick and uncomfortable at the thought of eating certain things, and this feeling is at its worst when people are trying to get me to eat these things. I am a people-pleaser, so I'm sure that personality part plays a huge role in how I feel surrounding these issues. Anyway, those are just my initial thoughts. I could go on and on. :) Sorry for the long post. I'm interested to read the discussion as it unfolds. As a clinician who does not specialize in eating disorders, I don't feel that I have the background to speak definitely on this issue. But my instinct is to agree with you that orthorexia does not warrant its own clinical classification. This is partly because I think the world becomes too fixated on a "term" or "diagnosis" as a means to alleviate patient's anxieties by identifying "what they have." This seems to draw focus away from the unique symptoms which may vary from person to person even if they have the same diagnosis. I work with developmentally-delayed children and I often struggle with this issue when parents want some definitive answer if their child has "autism" or "aspergers," when there is clearly a spectrum of severity that ranges from child to child, and ultimately, there is not always a clear answer. LNH: There's nothing wrong with wanting to eat healthy. My husband and I eat organic, unprocessed foods without HFCS or hydrogenated oils. And like Michael Pollan says, if we have the money to spend on better quality food, we ought to. The problem comes when our healthy eating interferes with our ability to function. You should not be mortally afraid to eat something that isn't on your mental list of healthy foods. Your healthy diet should not be detrimentally affecting your physical or mental health. Your life should not be ruled by the availability or lack thereof of healthy foods. You should not obsess about what it is you eat or how healthy or unhealthy it is. Healthy eating is great - except for when it leads to unhealthy relationships with food. "Not to say that all vegans are orthorexic, but there are a few who are extreme in their diet, and the raw foodist people look emaciated." Please remember that a lot of vegans do not eat animals or animal products because of their belief in animal/human rights. A vegan at a potluck who is being "picky" about not eating meats isn't doing so because of an eating disorder. Plenty of vegans are normal sized or even (gasp!) pleasantly plump. Furthermore, I have found that becoming a vegan has really helped in my eating disorder recover. Not only did I experience better health (turns out I was lactose intolerant), healthy weight gain, and a new and improved relationship with food but I was able to finally be able to act on my belief system. P.S. Check out the abundance of fast food restaurants and NBC's "Biggest Loser" and you'll see that our culture does not suffer from orthorexia in general. It is definitely specific to certain populations. LNH: I guess my (lay) reaction is that it's interesting that you felt compelled to post it in reaction to the description of orthorexia given above (which includes a list of questions that describe behavior that goes far beyond simply eating healthy). Do you think that the behavior of eating healthy that you describe is typified by the kind of obsession and mental turmoil mentioned above? Than that might be something to think about - after all, we should eat in such a way as to promote mental as well as physical health (and it seems mental health is more deeply linked to physical health than we used to think). If not - if you don't feel that this makes you unhappy, obsessive, or otherwise distressed - then why post it here? What was the connection you drew between the two things in your mind? That's not meant to be confrontational; it's actually a serious question. A vegan at a potluck who is being "picky" about not eating meats isn't doing so because of an eating disorder. Plenty of vegans are normal sized or even (gasp!) pleasantly plump. Hi Anon, I think you took my comments out of context. My comments were directed specifically at the vegans and raw foodists I encountered at our local Earthsave potlucks, which, by the way, are vegan potlucks. Most of the vegans/vegetarians I've met are so out of concerns for animals and the environment. But I've also met a few for whom animal rights takes a back seat to their own individual health. And we can't forget, many people with an eating disorder also use vegetarianism/veganism as a front to continue their eating disorder - as noted by Dr. Stacey in her post. And like you, I also found that becoming vegetarian/vegan also aided in my eating disorder recovery. This is the same anonymous as before (name: Jodie). Sorry for misunderstanding you! I'm excited to hear someone had a similar experience to me. The first trick we have with calling orthorexia its own disorder is defining "healthy" foods. Between the low/no carb for health, low/no fat for health, low/no animals for health, and low/no food in general for health, you wouldn't be able to look at anyone's eating habits and make a determination. Most of these total lifestyles are seen as healthy by someone, most especially if they end in weight loss. Once it gets to extreme, then you are trying to differentiate it, but part of the question then becomes, why? Why are they so obsessed with what they have determined is healthy eating? They say starvation isn't their ultimate goal, but why are they willing to accept it? Obviously, starvation is not healthy, so why would someone professing to be dedicated to health be willing to accept it? Why do they chose to be unhealthy, unless they do have an unrealistic view of their bodies telling them that they really aren't that thin? I think everything said here underscores the point ps22 makes, which is that there is such a wide variety of behaviors that it is often difficult to pinpoint a single diagnosis. I also see this with developmental disorders: my kids have been diagnosed with Autism, so they get services from the school district. My friend's child, however, is just outside the spectrum. He has developmental difficulties, but not a specific diagnosis, so they don't receive any funding or services whatsoever. It's very difficult. So, what do we do with those folks who don't fall into any specific category? Do we make up new ones, like Orthorexia (which I've definitely seen and experienced)so that they can get the treatment they need? Or do we try and cut through the red tape of the insurance companies? I honestly don't know. I think a lot of people are struggling with this, whether they have an ED, or any other medical or psychological issue. And I've just opened up a huge can of worms, haven't I? Sorry about that! I suspect this kind of behavior is actually very common, but can I mention a variation that I don't think anyone has touched upon? The question of "allergies" - and I don't mean real ones, I mean people who claim to have them because they find that when they avoid certain foods that may make up a large part of their normal daily intake, such as wheat or dairy, they lose weight. The irony is that there was another woman on that bus whom I still know - and who is also fat, as it happens - who, a couple of years later, did develop a genuine wheat allergy. She still suffers from it, on and off. She can have months when she's fine, and then wham, she eats a slice of bread and she's racked with excruciating bowel cramps and has to spend several months, usually, avoiding the stuff. And, incidentally, her abstinence during that time doesn't ever result in any substantial weight loss. It just lets her live her life and not have to be within three feet of a bathroom. Having known her, and others, with the real thing, it bugs me when healthy people use it as an excuse to avoid 'fattening' foods. I don't think you've opened the can so much as you've said, "Hey, who opened that can? Why are there worms everywhere?" A doctor's diagnosis ought to take precedence over the insurance company's diagnosis. The fact that your friend's child has problems ought to take precedence over the box he doesn't quite fit in. But it doesn't. I don't know what to do about the insurance situation, because, as your experience with the school district points out, it wouldn't do any better under government administration; we'd still have the same boxes. Or similar ones. Another question toward the anorexia/orthorexia debate: How many anorexics also qualify as orthorexic? If it is a substantial enough proportion, what we're calling orthorexia may be more an aspect, possibly symptom, of anorexia than anything else. Anon, re: "The question of "allergies" - and I don't mean real ones,"
That particular excuse goes way beyond food. In particular I've seen if in regard to cigarette smoke. Smoke, having no protein, cannot produce an allergic reaction. This is not to say that it doesn't bother people, "smoke inhalation" is an actual problem, and some people are more sensitive. But when you are twenty feet upwind of a smoker and start to cough, you aren't coughing from the smoke; you're coughing to make a point. Saying "I've got an allergy" is a very old (in relation to my 26 years) method of attempting to correct the perceived faults of others. If you say you've got an allergy and they persist in waving there allergen in front of you, obviously they are at fault and should be stopped. I'm really on the fence about orthorexia. On one hand, I agree that obsession with 'healthy' food can be on the ED spectrum. OTOH, the original definition is vague, a bit woo woo and would definitely include just about anyone who follows a vegan diet. I tend to think that people who obsess about 'health' to the point of starvation are generally closer to anorexia rather than people who are actually obsessed with health. But that a fixation on eating the 'right' foods can definitely be a part of OCD or ED behaviors. I'd be more inclined to take this seriously as a separate disorder when more information and research comes out. When people are "allergic" to cigarette smoke, this is the condition that they have. It's not a real "allergy" but it results in allergy like symptoms (runny nose, cough, etc.) Even though it's not a real allergy, I imagine people don't want to go through the "Well, I'm not really allergic but it triggers an allergy like effect in me" song and dance with everyone they meet. I understand that some people have a sensitivity to cigarette smoke. I was not saying that they do not, I admit that there are those more sensitive, but, again, when they are 20 feet upwind, meaning that the wind is blowing the cigarette smoke away from them, then when they cough, they are not coughing because of the cigarette smoke. This is the attitude I compare to people advocating that fat=food allergy. The attitude that the very fact that it exists causes you problems, when, in fact, removing it would only cause a psychosomatic difference. It is the only comparison that came to mind; believe me, I would have used just about anything else had I had one at hand. I read in a book (I can't remember which but it may have been "Gaining" by Aimee Liu) about someone who described themself as orthorexic. Their obsession with quality caused them a great deal of distress and caused a lot of problems in their life. Akward social situations, not eating if there wasnt anything to meet their standards, and even some health issues. I think if something is causing a person's quality of life to go downhill it should be considered a problem. I think medical professionals in this country have an unhealthy fixation on labeling anything that is different a "disorder." It's like the whole ADHD thing - yes, there may be a few people who have a real problem. But calling it a disorder just invites all the quacks to start slapping this label on all sorts of people who don't fit into society's ever narrowing definition of "normal". Just because *you* wouldn't do it doesn't mean it's a disorder. By the way, Orthodox Jews have extremely strict requirements on the kinds of foods they can and can't eat. Keeping kosher - *really* keeping kosher - is quite difficult. It can mean that an observant Jew has nothing to eat in many instances, and often, it prevents said Jews from participating in many social engagements. Do observant Jews who keep kosher have an eating disorder? Are they "orthorexic" or any other "exic" just because they choose to live in a way that is different? My guess is you'll say no. But why is following strict eating requirements based on some irrational belief in a document written thousands of years ago *not* an ED, whereas following strict eating requirements out of a concern for one's health is? Orthorexia is, for the most part, yet another example of the backlash in this country against people who are actually trying to do something to avoid obesity and the myriad health problems that accompany it. Most people in this country are overweight or obese. If you don't want to be either of those, you *must* live your life differently. You cannot be "normal" as society defines it today and have a healthy diet. I spend signficant energy eating healthy and maintaining a normal weight. I would not fit the definition of orthorexia as described, since I am willing to eat enough "unhealthy" foods to smooth things over at social occasions and am a normal weight and very healthy after 7 years of more careful eating. I think there is actually a danger in creating a special category. I do get a lot of flack for my healthy eating already, from people who are unhealty eaters. Somehow, "I don't love myself", but the 300 pound person eating the banana cream pie does. This seems dysfunctional to me. Creating this category would actually support the disordered thinking of people who eat unhealthily, since they can now claim that they are not "orthorexic" and that people like me are. It seems a bit dangerous to further discourage people from trying to eat healthy when they are already bombarded with advertising that it working against this. I wonder if this is even real... I became a vegetarian and then a vegan at the beginning of my eating disorder so I'd have an excuse to not eat a lot of certain things... Yes, I was concerned about health, but I really just wanted to lose weight. No thanks, this is too subjective. People with "orthorexia" are better off labeled as having whatever they have--anorexia, OCD, etc. I am very happy with how I eat, and I don't need to be labeled because other people aren't happy with it (because I'm not joining in, or they wouldn't enjoy my way of eating). But I don't eat most food that other people do--I listen to my body, and processed foods make me feel awful. And I'm a vegan for simple ethical reasons. We don't need a label that can be hurled as an accusation at people mindful about what they eat. Michael Pollan does some good things but really annoys me with some things he says as well--to say our culture is orthorexic is to be out-of-touch with society. I work as a nutrition educator for a government program, and I can assure you most people are not concerned with the nutrition in the foods they eat. They want weight-loss, and they want quick fixes, but they don't actually want to give up their favorite junk foods and eat healthy. Fast food would be out of business if that were true--it's not the salads (of dubious quality) that keep McDonald's afloat. I think Orthorexia is different than Anorexia. Orthorexia seems to be more about intense guilt over any eating of "impure" food (however that is defined by the individual). This intense guilt of trying to eat perfectly and being endlessly aware of the fact that you might not be able to eat as perfectly as you'd wish to seems to be what drives Orthorexics. Anorexics might not experience as much guilt over the purity of their foods. I think, mainly, Anoreixcs are driven to eat as little as possible. Health may be their stated and *overt* concern, (and even a way they fool themselves into thinking they are starving for their own benefit). But their actual, Central issue is to become as emaciated as possible, above and beyond all else. Of course, Orthorexia might Also result in a very thin body, (there is probably overlap between the two disordered ways of eating, when/if Orthorexia becomes extreme) but the main focus, for Orthorexics, is on the *purity* of their food. That, above all else, is what matters. Interesting to me is that - Culturally, there is intense attention directed on food quality, like never before. Food is now either "pure" (ie: "healthy", "natural", "organic") *OR* "toxic" ("bad", "fake", "disgusting"). These days, there is little to No acknowledgement that much food may actually fall somewhere in the middle of these extremes (sort of good for you/kind of bad). There is this strong insistence, instead, that any given food is either Good OR Bad to eat. No tolerance for anything else, no allowance for any gray areas. Such Extreme rigidity of thought pervades the thinking about food and health; therefore, this culture appears to be dominated by an Orthorexic mindset. There is extreme anxiety (and, I'm not saying this is entirely unwarranted) about the quality and purity of our food, such that people are really afraid to eat and/or feel deep guilt when they "stray" from eating a certain proscribed way. Similar to a diet-mentality, but very focused, these days, on how "polluted" everything is - so it goes well beyond just being/getting thin. Like a few other posters, I too am sick of seemingly every slightly unusual behavior or physical symptom being given a "diagnosis", or labeled a "syndrome". Some people have strange eating habits. In some people's minds, I probably have strange eating habits- I eat only real food- meaning no processed snack foods, diet foods etc. But having said that, there is an increasing tendency among the general populace to become obsessed with "eating healthy". If I go to dinner with someone and the word "healthy" comes up, I immediately wonder if the dinner is going to be any fun for either one of us. I attribute this to saturation of the "airwaves" with doctors, and pseudo-doctors, and TV doctors like Oz and Gupta and Weil. Not that they don't have legitimate credentials, but they don't realize they are giving people just enough ammunition to become obsessed and probably not to have any real positive effect on their health. "orthorexia"? how ridiculous can we get? Seems like we're trying to put a label on everything society does to peg it as some disorder or problem. I agree with that last post. Also I want to add my 'take' on 'allergies' and eating healthy. I suffered for YEARS from gastrointestinal symptoms of bloating, gas, cramping and irregularity. Because my mom interpretted my bloated stomach as me getting 'too chubby' when I was 6 years old, I also thought my tummy bloat meant I was 'fat' despite thin arms and legs and normal weight. Over the years my symptoms worsened and I began to throw up after eating meals which gave me painful symptoms. Rather than see a doctor about my symptoms, I assumed I had developed bulimia, although I didn't purge to prevent weight gain. I saw ED therapists who blamed my habits on 'childhood abuse', rather than listen to me tell them how food affected my body. When I told one therapist that I had painful reactions to foods, she referred me to my doctor, who referred me back to my therapist, because I already had the 'bulimia' label. Eventually one doctor told me I had "IBS" and that I should learn to live with it. She also gave me an ibs diet which recommended that I eat many foods for which I was later diagnosed with food allergies and celiac disease. Finally 6 years ago I read an article about celiac disease, an inherited, autoimmune disease in which the celiac reacts to eating gluten (wheat, barley & rye) with painful gastrointestinal (as well as other) symptoms. A stool test for gluten antibodies and gut damage and a celiac gene test positively diagnosed celiac disease as well as casein (dairy) allergy. Later blood tests and another stool test diagnosed egg, cane sugar, soy, vanilla and nutmeg allergies. I suspect I developed all those allergies while I had undiagnosed celiac disease and ate gluten, which damaged my intestines which leaked those other proteins and caused allergic reactions. My experience with misdiagnoses is not rare. The average celiac patient in this country spends an average 11 years seeking an accurate diagnosis. Celiac affects 1% of the population and 30% have food allergies. People with diagnosed food allergies and CD may appear to just be 'picky'. However that pickiness spares them from days of painful symptoms. Longterm undiagnosed celiac disease is highly correlated with lymphoma of the small intestine, as well as many other autoimmune diseases, like rheumatoid arthritis, lupus, MS, type one diabetes, etc. Doctors currently TREAT those autoimmune diseases with drugs, but don't know the causes. Celiac disease research suggests people with the celiac gene are much more likely to develop those other autoimmune diseases as well as cancer of the small intestine. So I will continue to abstain from gluten and my 6 other food allergy sources to avoid painful symptoms and prevent developing other autoimmune diseases. I don't care what people think when I send my food allergy alert card with the waiter to restaurant kitchens. I don't care if they want to consider me 'orthorexic' as long as they understand that I have diagnosed celiac disease and 6 other related food allergies. During a million tests I had done while I had a chronic illness I was found to be lactose and gluten intolerant. That wasn't the cause of my problems, but it sure made me feel better to cut out wheat (I was already vegan at the time). it's confusing how to eat sometimes! Your parents try to get you to eat vegetables for a decade -- and then when you decide to start eating healthy for yourself, they wonder if you're ill or insane. Even though I've been diagnosed as orthorexic--I'm still not sure if it's a legitimate disorder separate from anorexia and ocd. If it is, then for me, it's the result of food allergies (the I need to carry an epi-pen everywhere I go type), a past history of anorexia, and a longstanding desire to eat only that which is beneficial to my body. It's interesting...although I no longer restrict, I am as terrified of "unhealthy" food as I used to be of calories in general. The idea of having to eat a piece of candy, for example, gives me great anxiety. However, switching to an all organic, unprocessed diet helped me recover from anorexia. I started to feel better and the better I felt the more I wanted to give my body the nutrients it needed. I know for a fact that if I were forced to eat a typical American diet, I would revert to Anorexia. Orthorexia is a very interesting idea. People who eat "healthy" mainly get lots of encouragement and admiration from others. Not always, but *usually*, they do. However, Orthorexia points to how even so-called "healthy" eating can go astray. Yet, no one thinks this could be a problem; after all, one is eating "healthy"! At the very least, Orthorexia points to a rigid and obsessively controlling approach to food and eating that is similar to Anorexia. (I think there are also differences from Anorexia, as I've previously noted in my prior comments). Orthorexia strikes me as the flip-side of bingeing uncontrollably on "bad" food. Both approaches (bingeing/Orthorexia) are excessive. 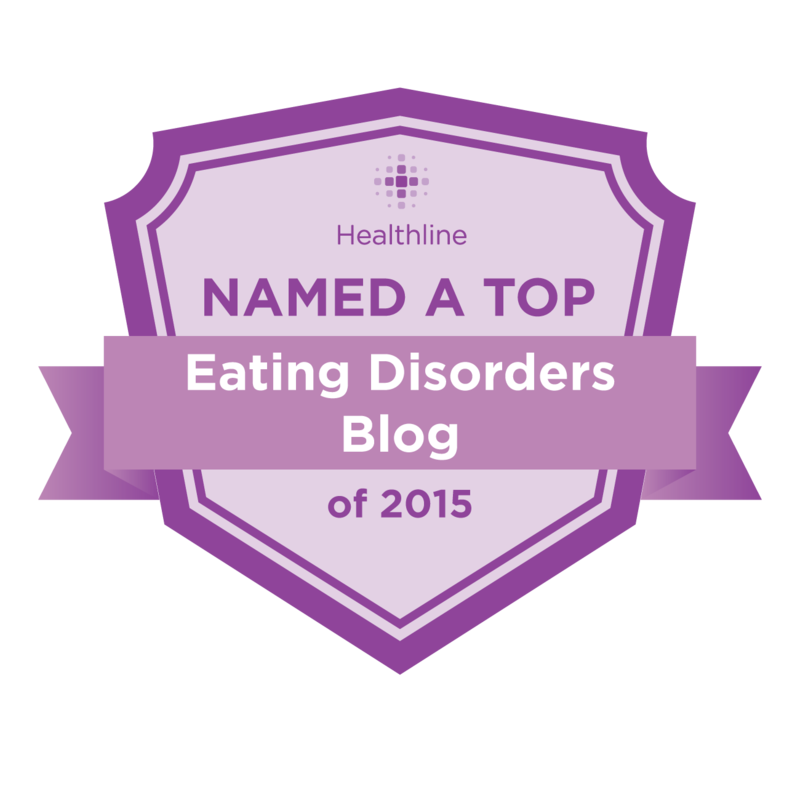 For me, "orthorexia" is the first sign and symptom of a relapse of my restrictive anorexia. Obsession with eating only healthy foods for me works as a way for me to compare myself with others through eating habits. Seeing that what I eat is "good" and what others may eat is "bad" gives me a sense of control and superiority. Twisted and disordered, yes, but I'm thankful that this issue is brought up so that I can identify the obsession as unhealthy and disordered. Thanks for all your helpful comments. I think, w/your input, I'm staying on the "It's not a disorder" side of the fence. Ppl who become ultra-healthy or vegan sometimes make these lifestyle choices toward the goal of weight-loss or -maintenance, akin to an e.d. (I can attest that I see no weight-loss benefits to being a vegetarian). To answer one of the anons' questions, dietary limitations imposed by religion would not be considered orthorexic, according to the criteria Bratman proposed. I think it's interesting, as some have suggested, how many ppl have allergies to certain types of (caloric) foods. Actual allergies notwithstanding, they do seem to cluster around foods that we'd like to avoid b/c of their weight-gain potential. I think I'm allergic to certain types of vinegar--how's that for a renegade? From the moment it touches my lips, I'm repulsed by the smell and taste, and I usually get sick after the fact. The "bible" of categorizing is the DSM, of course. I suppose that if the writers of the DSM, these gods of profound insight, someday decide that "Orthorexia" is, in fact, a bona fide "disorder", then, by golly, it Will be. However, I think looking at Orthorexia from a strict: is it/isn't it (a disorder) is too simplistic. Interesting ideas about food and eating, like Orthorexia can have great value, even if they are not "official" disorders. As for our labeling too much: that is a strange claim for the author of this blog to make given that she also maintains that "every woman has an eating disorder". Don't get me wrong; it's another interesting idea, the fact that every woman could have an eating disorder (to one degree or another). And so, unless the title of this blog is meant *ironically*, I think that the author, herself, is doing quite a bit of labeling. I hope the title is not meant to be ironic, however (or, not completely so), because I think it's a great way to allude to how, in the environment we live in, it's so easy to for anyone, even very "healthy eaters" to become "disordered" when it comes to eating, weight and food. I think that will ALL eating disorders there will be some degree of overlap. As someone who was primarily a binge eater, I did sometimes attempt starvation. It might not have lasted long, but I wanted to lose weight and wouldn't eat for hours, or I'd eat ridiculously small portions, or apply rules to the way I ate. My therapist says this qualifies my eating disorder as non-purging bulimia (that wasn't from a lack of trying, trust me), but many might look at me and think I have BED. I think orthorexia is particularly dangerous because it's more likely that a person eating this way will be perceived as "healthy" than someone truly anorexic. Orthorexics will eat... they just strictly limit their food choices. Many in our society wouldn't see that as a bad thing, making this type of eating disorder truly unique, and I think, very much its own disorder. 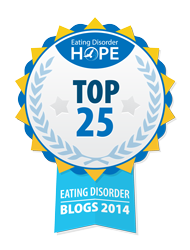 Thank you for this post about orthorexia. I would definitely qualify as orthorexic, as there are things I won't eat no matter what, namely sugar and refined carbohydrates, and I also have to eat at least 1.5 lb of vegetables a day. Yes, that means I would rather starve than eat sugar, and I will go way out of my way to find the veggies. But, it started for me as anorexia, and it was only after I dropped below 100 lb. that I stopped eating anything that didn't qualify as "healthy." Now I am back to a healthy weight, but still obsessed with eating "right." However, the drive to pathologize eating healthfully just seems like an attempt by the clinical community to have it both ways. On the one hand, doctors and nutritionists are telling us not to eat whatever is the taboo food of the day (carbs, fat, etc. ), and then when we stop eating whatever it is, we get labeled orthorexic. Yes, my obsession with healthy eating diminishes my quality of life, but that is only because the healthy foods are not readily available. If it were easier to get the things recommended by nutritionists, there wouldn't be so much anguish involved in eating healthfully. I very much agree with Fauve here. That it hasn't been categorized as a separate disorder by the powers-that-be is pretty inconsequential to my mind. And the lack of research articles likely reflects the lack of categorization. Given that eds are mental disorders, I don't think that orthorexia should be reduced to its behavioual components. How this sort of eating makes you think - and the anxiety it produces, the sense of purity one feels when they eat a certain way, and the negative feelings and self-loathing which might be engendered if one doesn't eat to plan - are perhaps more important. I can say that someone who has dealt with both anorexia and more orthorexic tendencies, I have experienced them very differently. I think that more research needs to be done in the phenomenology of eds... Because as we're all meant to know, it's not about food! Being aware of this and changing eating habits accordingly doesn't make one orthorexic even if the behaviours look the same. Orthorexia is a state of mind.. and one, I believe, which is very different to the anorexic. I would two toffees for lunch when I was anorexic and would only be concerned with the calories...being concerned with the quality of food brings about a whole new set of concerns - and ones noe necessarily tied to weight. For example, I would ditch the omega 3 filled flax when in AN mode, but become obsessed with omega 3s when I am in ON mode. I am aiming for balance now... but this is more of a mental shift than a beahvioural shift. I have read the book of Steven Bratman and I recognize a lot of what he is writing. My dieting began because of health problems. A natural health practioner thought I was allergic to some foods and prescribed a diet. At first I felt better, but when my symptoms came back, I thought I had to be allergic to more foods. I skipped more and more food from my diet often with the support of therapists and doctors. I wasn't focusing on losing weigth. I even gained weigth when my diet became more strict. I don't feel superior because of my diet, but rather inferior because I get 'sick' from so many foods. I desperately want to eat normal again, but until now I haven't had any success. So, I think it's possible to have orthorexia without being anorexic and bulimic. I have had friends with anorexia and bulimia and I couldn't understand their fixation on weight. I still can't. My (normal) weight feels okay, but I don't feel comfortable in a 'unhealthy' body. wjI also have celiac disease and avoid the various celiac online support groups like the plague exactly because of their focus on orthorexia. I don't have any problem with people wanting to subsist on a diet of sprouted nuts and raw veggies, but that does not have one #@!$ thing to do with celiac disease and I am SO tired of having this philosophy shoved down my throat by people who use their gluten intolerance to justify their eating disorders. I can, and do eat anything which does not contain gluten and will not eat me first. I wish there was some sane online celiac support for people who eat ice cream, pepperoni and bacon and drink Redbridge beer but the whole of celiac discussion on these days seems to be for eating disordered food phobics who are into coffee enemas! Its too bad the orthorexic crowd is keeping newly diagnosed celiacs from getting any real support in how to lead a gluten free lifestyle with their their overly restrictive off the wall dietary suggestions. I TOTALLY agree with what 'anonymous' wrote about CD support websites. (Do you mean celiac.com???) I stopped posting on those sites, because so many discussion threads revolved around weirdo diets to treat symptoms. I was diagnosed with celiac disease 4 years ago, but continued to have symptoms. So I found a celiac naturopath who did blood tests for food allergies and stool tests for bacterial infections. Those tests revealed I had 4 more food allergies, in addition to gluten intolerance, the celiac gene, dairy and soy allergy, initially diagnosed by Enterolab stool tests. I also was treated for an intestinal bacterial infection. So I have 7 restrictions for foods which cause painful and scarey symptoms (like tachycardia) when I eat them. Knowing I get those symptoms when I eat my allergy foods prevents me from craving or feeling deprived. However I REFUSE to avoid or restrict foods for which I have no allergies, just because someone thinks I should try their 'healthier' diet. If you think celiac websites are full of people with orthorexic tendencies, you should attend local celiac support group meetings. LOL I lead such a group. Some of my members chronically doctor shop until they find a doctor who will tell them what they want to hear. Several members say they are 'sugar' sensitive, although they have no allergy test results to prove their sensitivity. When I ask them about their symptoms, they say they 'just feel better' when they don't eat sugar. They also say they tend to overeat or even binge on sugar, so they assume they are 'allergic'. However when I bring free samples of sugar containing gluten free foods to our group, the sugar sensitive members take more samples than othe members. One member who complained the loudest about her sugar sensitivity took home 7 boxes of free cookies which contained 'evaporated cane juice' (cane sugar). I actually have a diagnosed cane sugar allergy, which causes tachycardia and nausea, but I can eat maple syrup, honey, agave, beet sugar and other sweetners. I don't restrict all 'sugars', because I'm not allergic to all sugars. Neither do I go crazy and binge on everything sweet, because I have an allergy to a specific kind of sugar. However my 'sugar sensitive' members admit to bingeing on 'anything with sugar in it' and then say they are 'allergic'. I hear all kinds of orthorexic comments from my celiac support group members. Having celiac disease can give some people (like myself) painful gastrointestinal symptoms which make them feel awful after eating or malabsorption problems, which prevent them from absorbing certain nutrients. So they are thin. However other celiacs struggle to lose weight, because their CD symptoms don't keep them thin. So the ones who want to lose weight are more likely to follow 'orthorexic' diets which they claim help them heal from celiac disease. I say 'enough already' with unnecessary dietary restrictions. With CD and 6 additional food allergies, I will eat anything that hasn't been diagnosed as an allergy or given me excruciating gut pain. I have struggled with bulimia since I was 18 - next month I will be 40. Though I've had some bouts of feeling "healthier" and "better" for the most part I've continued to binge and vomit just about every day. I don't know what to do anymore. I've tried everything...I just can't stay focused on recovery. One slip and I'm back in the ring. Anonymous: I'm uncertain how your comment relates to orthorexia. However many people with disordered eating habits also have perfectionist or 'all or nothing' beliefs. So either they are eating perfectly according to their diet or they are bingeing and eating everything their diets forbid. That attitude influences their view of their own recovery. Rather than acknowledging their own progress, they view every slip as 'back to square one' or complete failure, rather than detours along the road to recovery. 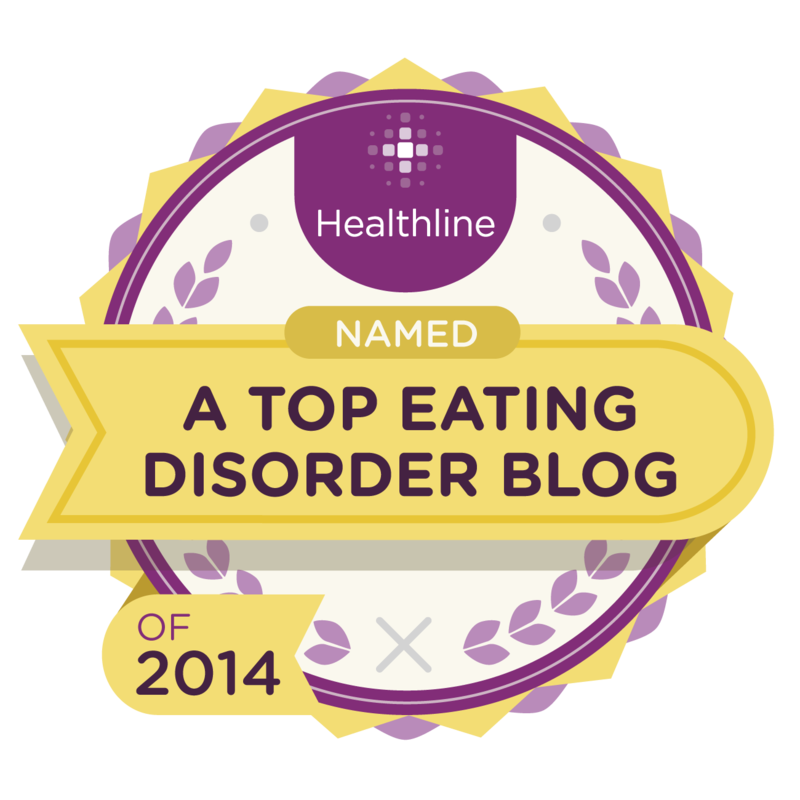 I can relate to longterm use of disordered eating habits. I used starving, bingeing and purging for almost 40 years. What helped me to change my all or nothing viewpoint was to put stars on my calendar for days I did not binge or purge. At first those days were rare. However over the years my slips became the exception (once a month), rather than the rule. I even had a few long (6 month) abstinence periods. During those years I was thin. So I didn't need to starve to get thin. However I also had painful gastrointestinal symptoms everytime I ate. So I avoided eating for long periods (starvation), which influenced my binges when I finally did eat. Purging relieved gastrointestinal discomfort. Before I was diagnosed with CD and food allergies, I believed my eating habits were a crazy eating disorder and tried all kinds of therapy. However getting those diagnoses and recommendation to stop eating foods that caused pain helped more than any 'mental health' therapy. Nevertheless I had practiced my disordered eating habits for so long that physical discomfort after eating triggered urges to purge. I had to change my self-talk to encourage myself to just hang in there and trust that the painful symptoms would pass. I also learned to eat more comfortable amounts of food, rather than large meals, because I would not let myself throw up when I felt uncomfortable. I'm still being treated for gastrointestinal problems caused by long undiagnosed and misdiagnosed celiac disease. However, I know that I can cope with physical discomfort (and emotional anguish about ongoing illness) without resorting to starving, bingeing and/or purging. My recovery journey was long and complicated. However I believe anybody can recover, if they just keep working at changing their beliefs, self-talk and eating behaviors. If I can completely recover after using disordered eating habits for 40 years, I believe others can recover after 20years of disordered eating. As a woman, I gave up dieting and obsessing about losing weight YEARS ago -- in my mid-twenties. 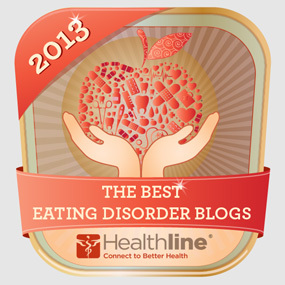 I gained a healthy perspective on eating after suffering from severe hypothyroidism, postpartum. To elaborate on "severe hypothyroidism", my thyroid gland failed to function enough to support life. Your thyroid gland supports your metabolism. Without adequate metabolism, the body becomes diseased or dies. This type of severe hypothyroidism is called myxedema coma. Without thyroid medication, a person will die from myxedema. I had myxedema and the crippling fatigue that comes with it, as well as a number of symptoms. I often felt like dizzy -- like I was about to black out all the time. Now let me tell you about my extreme fatigue, loss of appetite, and body weight. First, the fatigue was so horrible I hardly wanted to walk or do any type of physical activity. Having to take care of a newborn was torture, since I could hardly take care of myself. I was too tired to cook, and too tired to eat. Food tasted like cardboard. I preferred a nap for my lunch. I lost muscle tone, and my weight crept up a few pounds, despite the fact that I was eating like an anorexic -- a few bites a day. I tried to obtain energy by drinking caffeine all day; however this did not work. Before I was finally diagnosed by a doctor, I remember thinking I must have the slowest metabolism of anyone I knew. BINGO! I did! By the time I was diagnosed, I weighed 138 pounds and had a TSH (a hormone that can indicate thyroid problems) well over 200, when 0.3-5.0 is considered normal. I remember taking a nap on the examination table -- having to wait for the doctor. Like most women, growing up I had my figure scrutinized and criticized. After thyroid failure, I decided to reject the criticism often aimed at me by relatives. Sound familiar? I decided that I get a break from not having a perfect body and putting on a few pounds after having a baby and thyroid failure. Those who criticize can just take a flying leap! Once I began taking medication, my energy and appetite slowly returned. I began to eat more normally -- and actually lost a few pounds, since my metabolism was more normal. Ever since then, I've found that if I eat when I'm hungry, and pay reasonable (not extreme) attention to nutrition and moderate exercise, I can maintain my weight reasonably. Lots of vegetables, fish, chicken, and limit sodas. Although I'm now 145 pounds and in my 40's. It's not the end of the world. Would I like to lose 15 pounds? Sure! I intend to get back to the gym here soon, but I won't be starving myself. Why? I've discovered that our bodies know how to maintain our weight if we just listen. Eat when you're hungry, and don't eat when you're not. Unfortunately, our culture tends to be too critical of us women, expecting us to have perfect figures. And so it's no wonder we develop eating disorders. In my teens I used to be obsessed with dieting and insecure, although I do try to eat healthy. I've learned it's okay not to be perfect and gave myself permission to stop worrying about dieting all the time. And it's okay to eat when you're hungry! Why endure stomach growling and feeling dizzy? Enjoy eating and feel good. Mediterannean cooking tastes good and is also healthy. I hope to encourage other women by my story. I just got an email from a friend saying she saw something on 20/20 about orthoexia. She's concerned because I love a raw food diet. To some I am overly concerned with healthy foods, but I say they need to be more concerned. I have a corn "sensitivity" (I call it an allergy). I get migraines from eating things with corn, corn starch, corn syrup etc. I have to be very careful about what I eat or I end up with a very sick headache. So when I was introduced to a raw food diet, I know it was right for me. I do not do healthy raw food 100% of the time or I would be alienated, but at the very least, I try to stay vegan. If everyone would be more concerned about what they ate and stopped eating all the processed foods, we would see happier thinner and certainly healthier people. It's that simple. I have multiple severe--life-threatening--food allergies, of the real-and-medically-diagnosed sort, as well as Oral Allergy Syndrome (which means I have allergic reactions to foods that are closely related to other plants to which I'm allergic). For me, and for others in similar situations, life is a constant exercise in risk-management, one that it's extremely easy to take far enough that it falls pretty soundly in the category of "disordered eating." Many of us practice the kind of hypervigilance with foods and situations involving food that's most often associated with PTSD. The lack of information and clear guidelines--for instance, there's very little that can be done to predict when a previously mild food allergy will turn life-threatening; and food labeling guidelines are wildly inconsistent and rarely enforce--makes meal planning an issue as much of risk management as of hunger or nutrition. My answer to every single one of Bratman's questions is "yes." And the effect food allergies have had on my eating has definitely gone beyond medical necessity. But I'd balk at labeling myself "orthorexic," because even if you removed any food restrictions that weren't directly medically necessary, my answers to Bratman's questions would still all be "yes." I know that this is a very old post but "meh"
I am still undecided at where orthorexia should stand, though closely related to Anorexia I think that different means of treatment would perhaps be worthwhile. I never thought I was killing myself I just wanted to be healthy, pure, the peak of what my being was capable of but when I was diagnosed with anorexia I felt so betrayed, by my self that all the "good" I had been doing was just a guise for self-sabotage and torture. And thats when the self hate set in along with binging and purging and a whole array of catastrophic behaviors related to coping during "recovery". Like Rachel I had both orthorexic and anorexic qualities.What started as the average young woman deciding to get healthy, do some regular exercise and perhaps loose a bit of weight (when hitting that point of early 20s when the metabolism isn't as fast as it once was) gradually turned into an obsession with nutrition. that is spending 95% of my waking hours thinking about nutrition. About vitamins, minerals, fasting on juices/water, protein and fat combinations, energy in/out ratios and manipulating all of the nutritional knowledge I had self taught to loose weight, speed up my metabolism etc. But I believe that the anorexic qualities did not kick in until after I had unintentionally malnourished myself... prior to the obsessions.. all I wanted was to be fit and healthy, be the best I could be mentally and physically... not sickly thin and emaciated. Malnourishment was an accident.. and the recovery exacerbated it all, letting the ED flourish in a realm of differing diagnosis' and definitions. I don't know exactly what I'm trying to say here, I just think that the impenetrable "positive" mindset of the orthorexic would be better treated when not so closely aligned with the drastic idea of anorexia. I was finely agree to Rachel I also think that "our current environment encourages orthorexia.Indeed, Michael Pollan has even gone so far to claim that, as a culture, we suffer from orthorexia." I'm here to write a book about eating disorders. My contention is that nearly every woman has some form of disordered relationship with food or her body-- not necessarily anorexia, bulimia, or binge eating disorder, but a fixation on food/ weight/shape that is unhealthy, unwanted, and undying. This is a forum in which I present some of my ideas (from the media/ personal stories/ experiences) that, with a touch of editing, will magically gel into said book. I'm most curious about your reactions and personal experiences. Oh, and for what it's worth, I'm a clinical psychologist. Please heed this disclaimer, though, and do not substitute material on this site for actual consultation with a mental health professional. The information in this blog is not meant as a specific treatment recommendation or personal communication with any individual. How Far Back Do You Have to Go?